When I go off my gluten-free, high-protein, low-calorie meal plan (it’s not a diet!) I like to go all out. 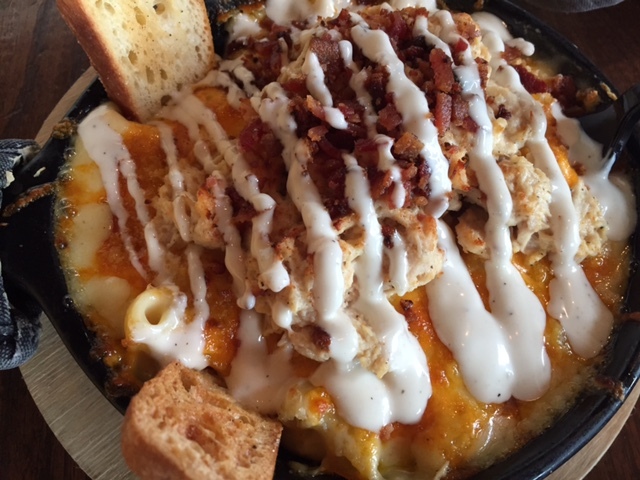 I don’t like to diverge from my healthy eating plan for bad fast food or something I don’t love, but I will do it for fantastic food and I will definitely do it regularly for mac and cheese…especially the mac and cheese at Mac’s! 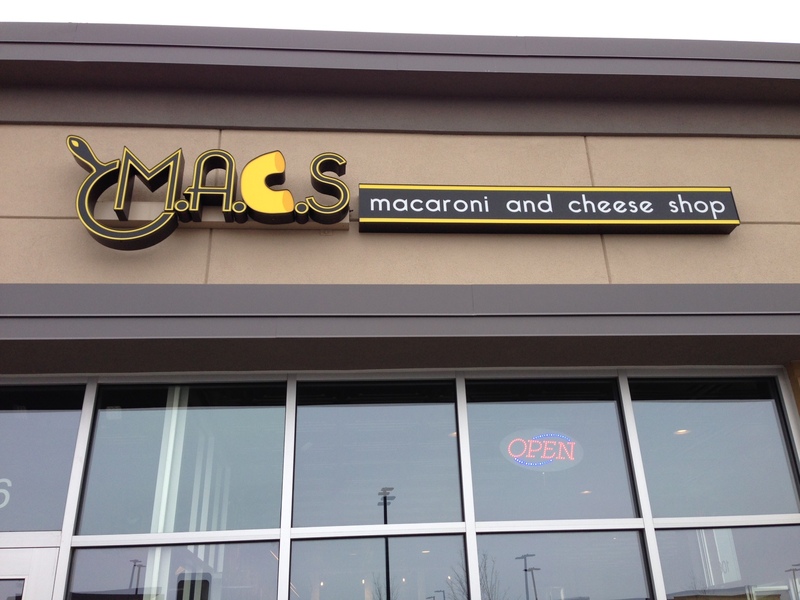 Mac’s has two locations — one in the Dells and a second location in Sun Prairie. The one in Sun Prairie is in the super new development off Highway 51 by the new Woodman’s, Costco and Cabela’s. The small dining room probably has about a dozen tables, which gives it a cozy, welcoming feeling. The menu is pretty simple. 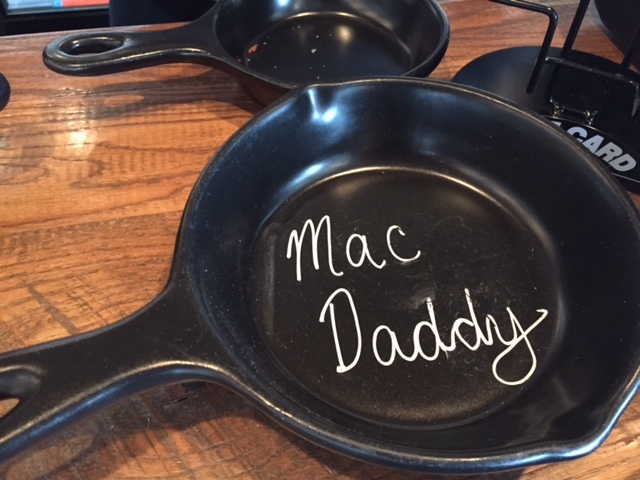 They have a dozen different types of mac and cheese (served in cast iron skillets), 6 different types of grilled cheeses and a couple salads. All of the mac and cheeses come with bread crumbs on top and some pieces of toasted bread. The bread crumbs were super tasty, but I would skip the toasted bread next time. They seemed very unnecessary. 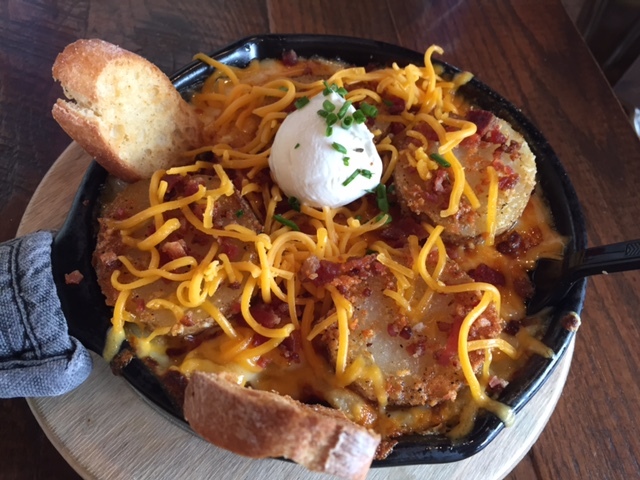 As for the mac and cheese…I got the loaded baked potato, which comes with cheddar cheese, mozzarella cheese, slices of baked potato, bacon, sour cream and chives on top. There are two pretty great facets of the mac and cheese. The actual mac and cheese itself is the best I’ve ever had. It’s creamy and cheesy with a rich, homestyle flavor, but it’s not too heavy. The noodle to cheese sauce ratio is also perfect. 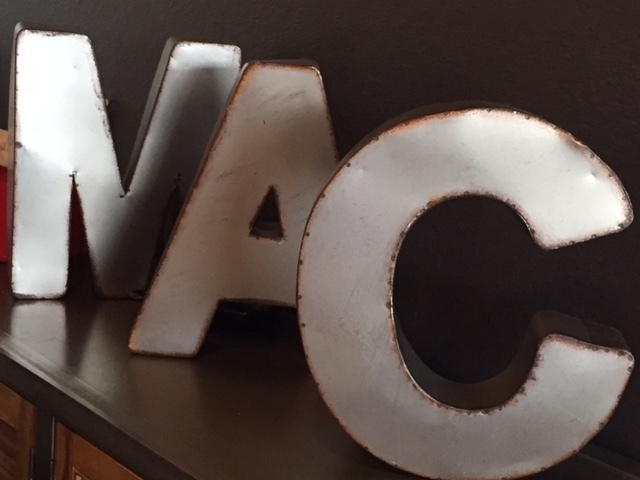 Sometimes you get too much or not enough sauce…but not at Mac’s! Every noodle was perfectly coated with the sauce, but there wasn’t an excess at the bottom. 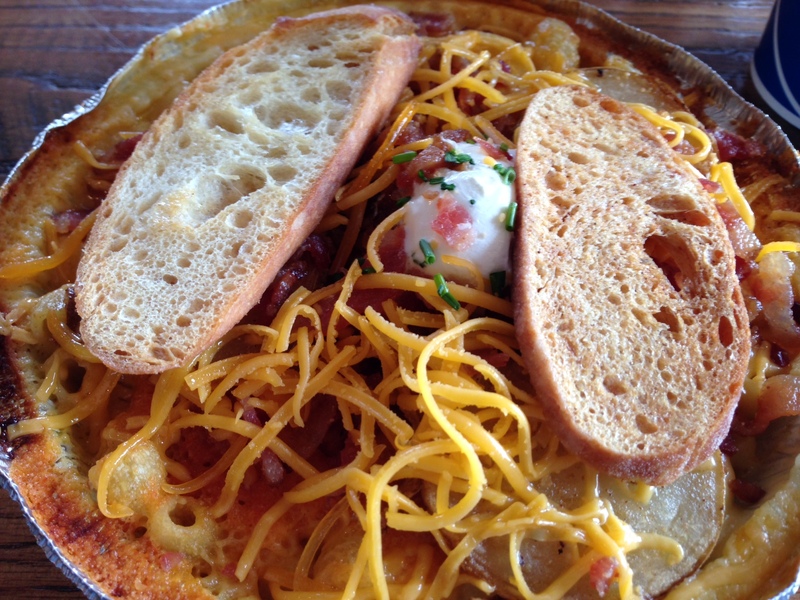 As for the toppings…I could definitely see going just for the plain mac and cheese, but I did enjoy my toppings. They added a different level to the dish — other than just eating noodles for lunch. 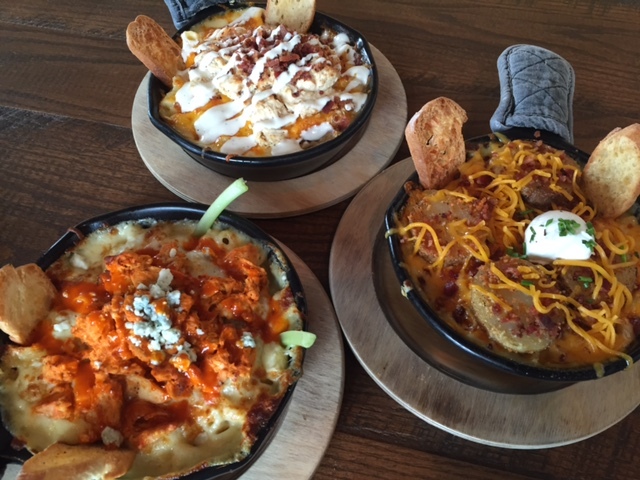 However, most of the other topping combinations (BBQ pulled pork, jalapeno poppers, chicken bacon ranch, taco) seem like a bit too much for me, so I will probably stick to the plain mac and cheese or go with the loaded baked potato one again. 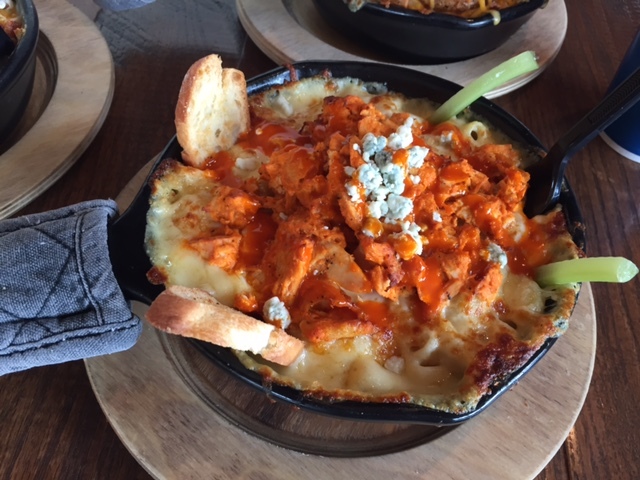 I also can’t forget to mention the crispy edges of cheese…the entire dish was rimmed with that perfectly crispy, slightly burnt cheese that you have to crack into to start eating — that, to me, is a telltale sign that my mac and cheese was fresh and made to order! FOOD NOTES: Mac’s makes the best mac and cheese I’ve ever had, and has a topping option that would probably please everyone! The prices aren’t too bad…mine only came in the bigger size for $10, but I could only eat half and the other half heated up really well for lunch the next day! Now all I need is for Mac’s to open a location in Middleton!